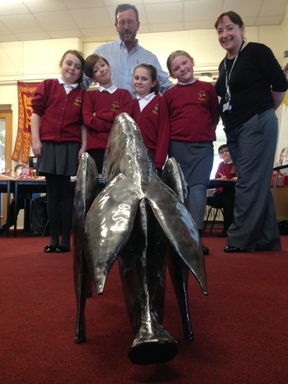 Today year 5 were lucky enough to be visited by artist Graeme Hopper and some representatives of Northumbrian Water. As part of Northumbrian Water’s redevelopment in our area, they have commissioned a piece of art for Chelsea Gardens. Graeme asked for our ideas for a ‘bug’ sculpture. We enjoyed working alongside Graeme and his pig.